What does this graphic do & why does it exist? 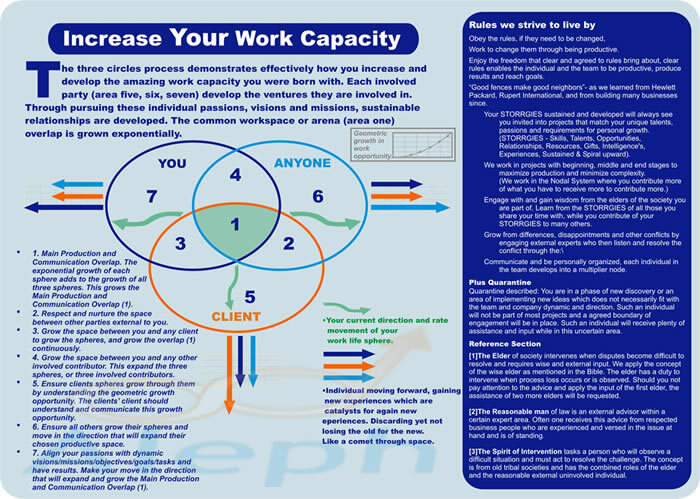 The three circles process demonstrates effectively how you increase and develop the amazing work capacity you were born with. Each involved party (area five, six, seven) develop the ventures they are involved in. Through pursuing these individual passions, visions and missions, sustainable relationships are developed. The common workspace or arena (area one) overlap is grown exponentially.